Payment had to be made before the solemn ceremony during which Denmark officially transferred the West Indian islands to the USA. Five hours before the ceremony a cheque for 25 million dollars was handed to the Danish ambassador in Washington. The front and back of the cheque for 25 million dollars made out to Ambassador Constantin Brun. 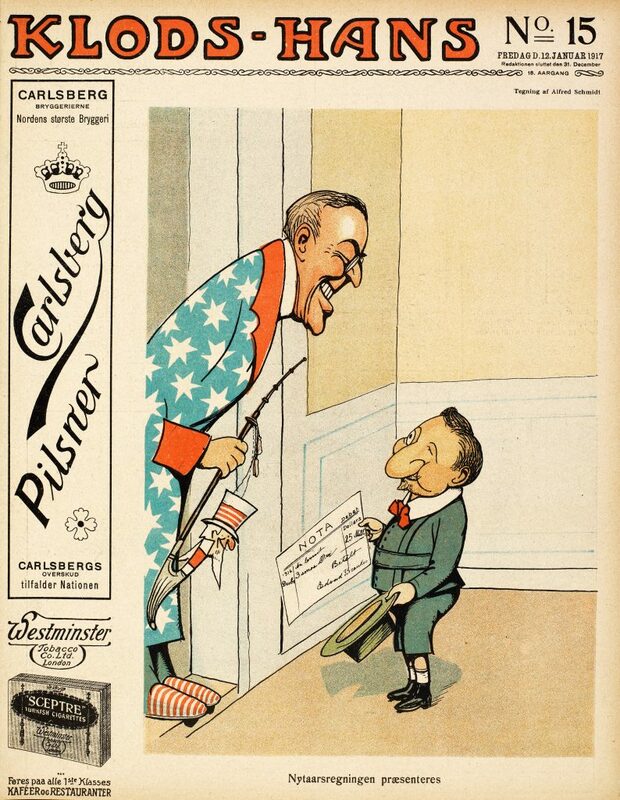 The Danish National Archives contain only a copy of the cheque, as Brun had to hand over the original cheque to the Americans to have it cashed and the money paid out. (US National Archives, Washington DC). 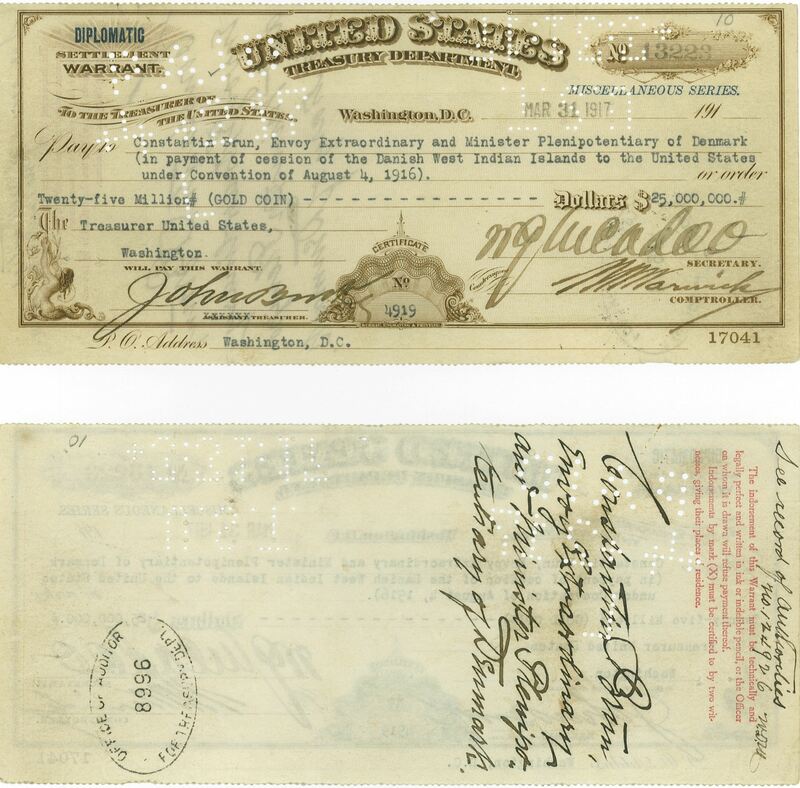 The payment was made on the day of the transfer of the islands, Saturday 31st March 1917, at precisely 11 o’clock local time in Washington DC. 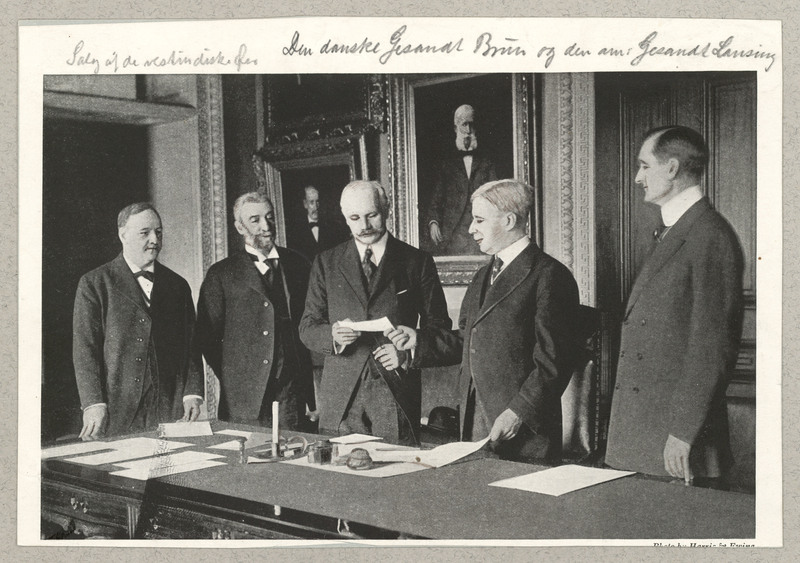 The American Secretary of State Robert Lansing presented the Danish ambassador Constantin Brun with a cheque for the agreed sum of 25 million dollars payable in gold– ”in payment of cession of the Danish West Indian Islands to the United States”, as is written on the cheque, which was signed by the Secretary of Treasury William McAdoo. Ambassador Brun signed four copies of the receipt for such a large sum of money. 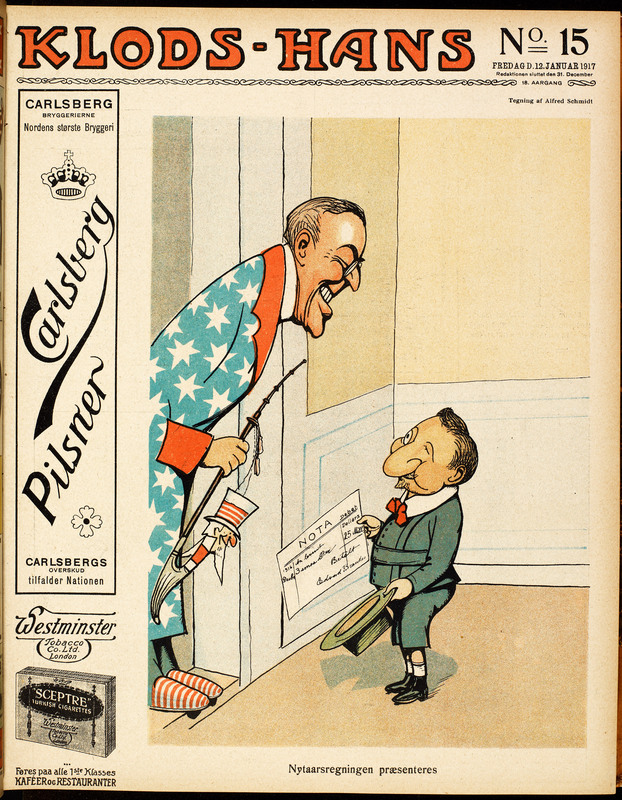 Immediately after this, the American Department of the Treasury ensured that the money was divided up and lodged in three different large banks in the USA on behalf of the Danish government. The money was lodged in the form of ’gold certificates’. When the banks had confirmed that they had received the money, at 11:15 Brun telegraphed the Danish authorities on St. Thomas that the transfer of the islands could proceed. It took place at 16:00 local time on the same day. The West Indian islands were now American and 250 years of Danish rule were over. Prime Minister C. Th. 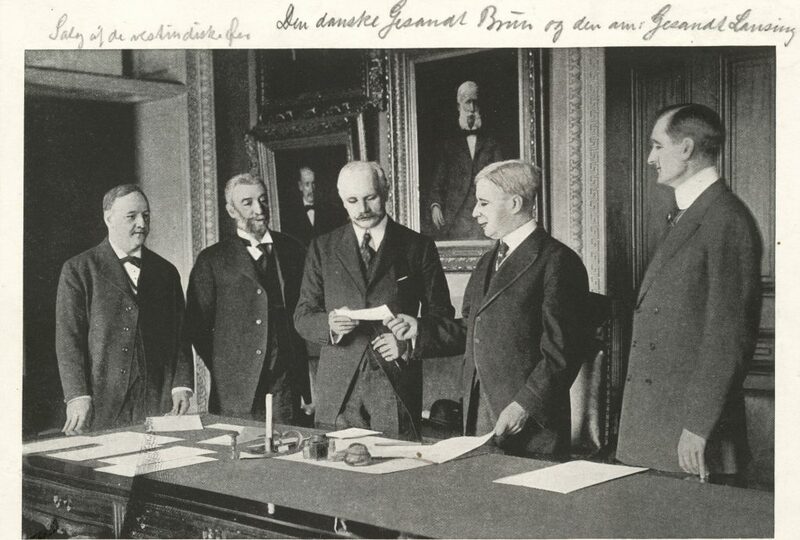 Zahle presents President Woodrow Wilson with a bill for ”3 small islands” (Alfred Schmidt in Klods-Hans 1917).